HONG KONG — In China, the smartphone battle used to be Samsung versus Apple. But not anymore. Over the summer, a Chinese company, Xiaomi, took the No. 1 position in China’s competitive market and became the world’s third-largest phone maker in the process. Founded in 2010 as a lean start-up to sell smartly designed phones at cheap prices over the Internet, Xiaomi was decidedly late to the game. Its first handset came out around the time of the iPhone 4S. With people in China expected to buy 500 million smartphones in 2015 — more than three times as many as will be sold in the United States, according to the research firm IDC — Xiaomi is poised to cement its place as one of the most powerful phone makers in the world’s most important market. Now the company’s founders, who include the Chinese entrepreneur Lei Jun and the former Google executive Lin Bin, hope that status will help them take their brand globally. Though Xiaomi already sells internationally, next year will be the true test of whether it can continue its rise beyond China. Shunning markets like the United States and Europe, Mr. Lei and Mr. Lin are looking at huge developing countries like Brazil and India. And they hope to use e-commerce networks to sell cheap, high-quality phones and recreate their Chinese success. Striking similarities between Xiaomi’s well-attended product unveiling ceremonies and Apple’s tightly choreographed media events have meant that Xiaomi is often described as the Apple of China — largely successful because, some experts say, it produces cheap knockoffs of Apple’s and Samsung’s high-end phones. That imitation could prove dangerous. Analysts point out that Huawei and Lenovo can use their control of the manufacturing of parts that go into a phone to gain a cost advantage. And hipness is hard to maintain. The head of Smartisan, Luo Yonghao, for example, has made a name for his company with product announcements that resemble stand-up comedy routines. The events are so popular, the company charges admission. To be sure, Xiaomi is treated with respect by its competitors. Li Nan, vice president of the rival Meizu, which began in the early 2000s by making digital music players and aims at customers slightly older and wealthier than Xiaomi’s, likens the devotion of Xiaomi supporters to a religion. Han Yu, a 24-year-old studying for his master’s degree, is one of those idolaters. He, with tens of thousands of others, helps Xiaomi test its user interface by looking for bugs and offering suggestions. Mr. Han moderates several pages on the company’s online forum, which averages 200,000 posts a day and is where fans interact with the company. Much of his personal life revolves around Xiaomi, and he says he has met many friends that way. He said he was honored when his suggestion to create a private photo folder was adopted on phones by Xiaomi. “I really enjoy the sense of participation,” Mr. Han said. Though Xiaomi makes some money on phone sales, the company’s plan is to increase profitability by selling services like entertainment and apps through the phone. The company has also started to sell other devices, like a smart television, a tablet and a fitness band, that work on its finely tuned user interface, which it built atop Google’s Android operating system. Xiaomi’s marketing efforts still attract plenty of attention. After an executive meeting in December, Mr. Lin proposed a “planking” competition to management. Holding their bodies rigid in a push-up position, the executives looked markedly different from traditional Chinese executives, who are rarely seen outside formal conferences. Mr. Lin, who had a Xiaomi tablet perched on his back, eventually collapsed in exhaustion. He lost, but the contest was an advertising victory. A photo of the competition quickly went out on social media and was shared on the service Weibo more than 3,000 times in the first 24 hours. 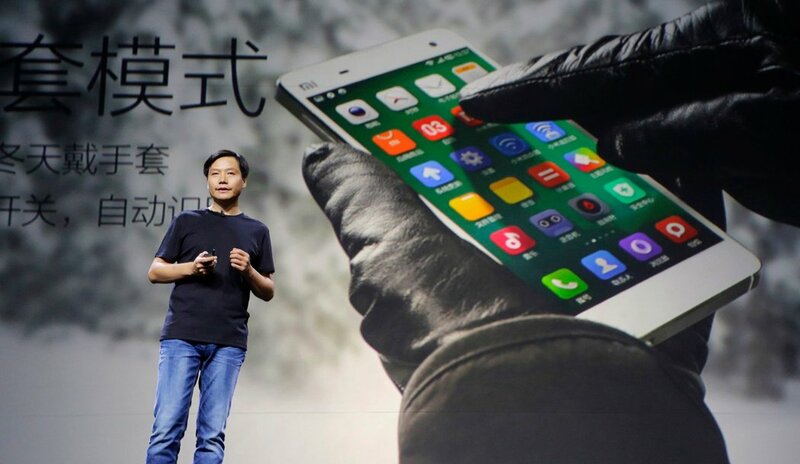 For all its success, Xiaomi’s biggest challenge looms outside China. In September 2013, the company hired Hugo Barra, an old friend of Mr. Lin’s from Google, to lead the company’s international expansion. Using social media to spread word of product launches and parties, Mr. Barra has opened a number of markets in Asia. Though some aspects of Xiaomi’s business model play on the peculiarities of China, Mr. Lin said he believes it can work abroad. In particular, he said the company will target markets with large populations, a developed e-commerce infrastructure and weak telecom carriers. The last point is important because if large service providers give consumers significant handset subsidies, the edge Xiaomi gains by selling cheap phones evaporates. The countries Mr. Lin identifies all have large populations who still have not bought their first smartphone, meaning Xiaomi has a chance. Still, analysts say the company will have to be skillful in adapting to the local demands of each market. In India, for example, Xiaomi, before the court order blocking it, had the foresight to cooperate with the local e-commerce firm Flipkart. Nonetheless, it must square off against several local Indian phone makers who are fighting to become homegrown heroes, much like Xiaomi. For now, investors like its chances. A new fund-raising round could rocket Xiaomi’s value to $30 billion to $40 billion, above that of its better-known rival Lenovo, according to a person familiar with the process. And investment bankers are already courting the company ahead of a potential initial public offering of stock, which company insiders say is probably years off. 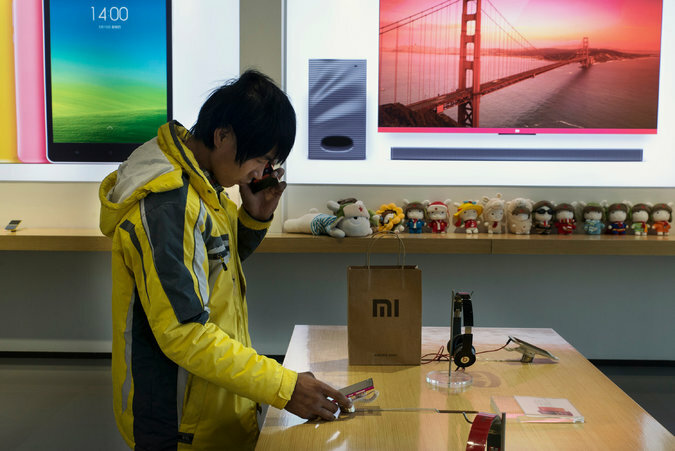 “Bankers are treating Xiaomi like the next Alibaba,” said one investment banker who spoke anonymously because of company policy forbidding him from speaking with the news media.